It was a fun Children’s Day for us this year! In the past few years, I would have been busy baking for orders. However, for now, I decided to focus more on the children and readjusted my priorities. So for the month of Sept and Oct we had so much fun together! 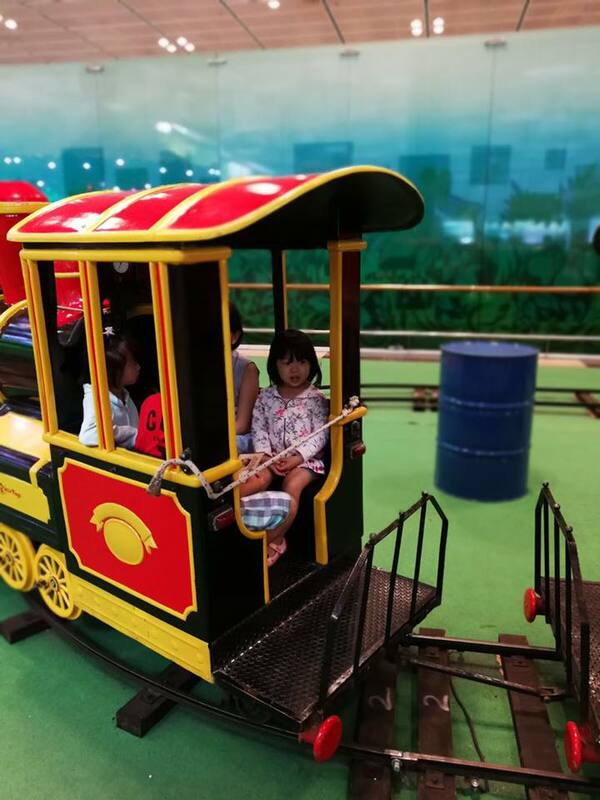 We were feeling thankful for the fun activities at the Changi Loves Kids Carnival at Changi Airport – the carnival rides were so awesome, and I could see so many joyful kids enjoying themselves there! We first went to try out the Kids Dine Free at 1 of the participating restaurants. Some restaurants offered free kids meal when the adults dine in, through the 3 terminals. So we chose 1 that appealed more to our family preference. We were kind of shocked at the kids portion, which was FREE! Haha. Food was average, but we were happy with the portion and the jelly! It was so fun that we went back on the last day for the carnival! We had wanted to have our lunch at the Hello Kitty Cafe, however, it was bad service at the Q. We queued for 20 mins, only to get to our turn, to know from the staff that it will be a long wait. With a hungry toddler who was about to have a meltdown anytime, we headed to eat ramen instead. Wished the staff at the Hello Kitty Cafe could have informed us earlier. 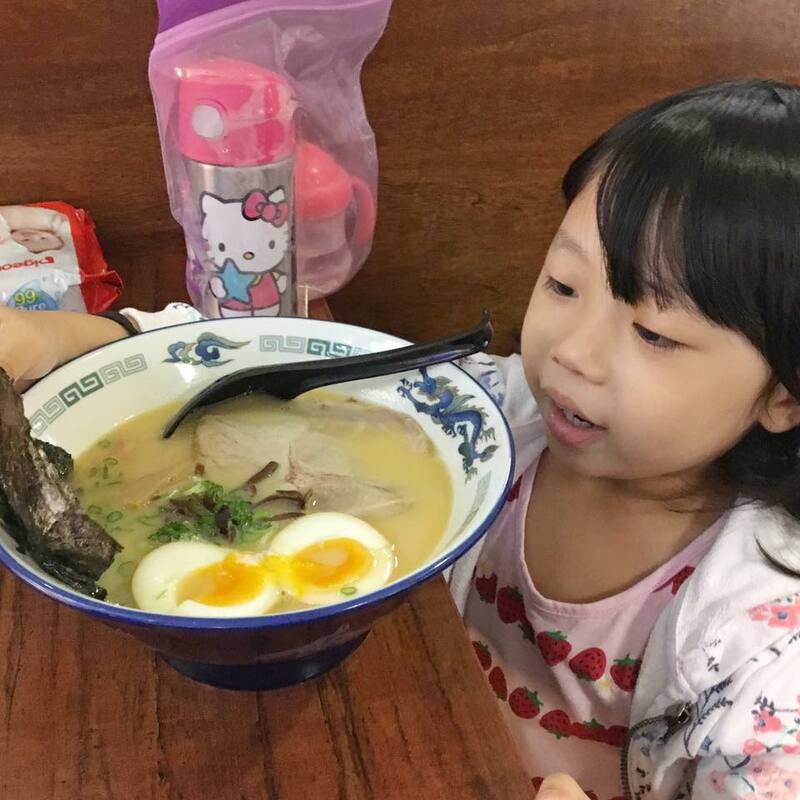 The kiddo was so excited to eat at the cafe (as you can see she’s a HK fan lol) while queuing! Thankfully the staff at the ramen restaurant were so patient and extended super good service, while we were all hungry + with 1 cranky toddler lol..
After lunch, we went off to the carnival at T3. We even won 2 sets of the Nano Blocks at 1 of the game stations! Wished we had tried that earlier, because it was really easy to catch the capsules! 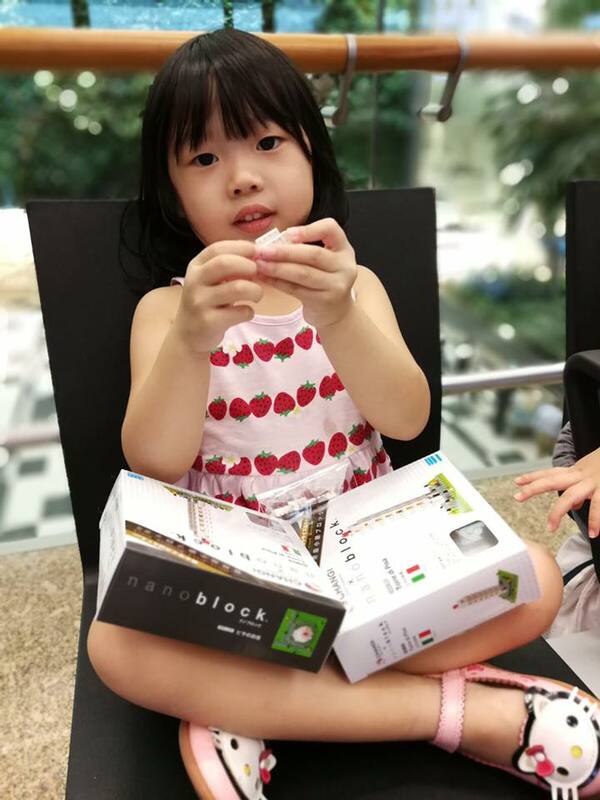 While on the actual Children’s Day celebration, we picked her up earlier since it was a half day at her childcare centre. We headed to the Suntec City for the ECDA event. The following day, we went to Esplanade for their kids activities. We were quite glad to stumble upon Old School Delights. The little one had fun seeing how I play the 5 stones, and meddling with the erasers while waiting for our food to be served. Of course we bought the little gem biscuits before leaving haha! We saw there’s a free coloring for tote bag if our children are/register to be PIPs Club members. She really enjoyed coloring the bag! We also managed to get a slot at the Grow A Garden workshop. It was a purely kiddos workshop and parents just waited at the side. It was great that EQ could attend the workshop on her own, and followed instructions! I just didn’t know why she chose to grow spring onion la. LOL! So we really had fun and I was glad to have adjusted my mindset and priorities for the family. How about you? How do you keep up with activities for the kids? Share them with me!